Ten years ago member states gathered in this distinguished assembly to take an unprecedented step: through the adoption the Millennium Declaration, we asserted our shared responsibility to humanity, and committed to making tangible progress in improving the lives of human beings around the world. In addition to being a moral imperative, this Declaration also recognized the crucial link between the wellbeing of individuals and the stability and health of societies and of states. Through the Millennium Development Goals, we committed to addressing some of the worldâ€™s most difficult and pressing development issues, including poverty, hunger, disease, environmental degradation, and the promotion of gender equality, education and health. Ten years later, these are still the main challenges facing our people and our countries. 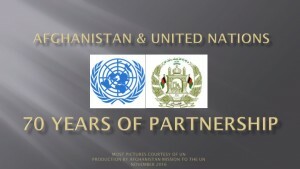 At the time of the Millennium Declarationâ€™s adoption in 2000, Afghanistan was cut off, isolated from the international community by the abhorrent Taliban regime, which denied Afghan people even the most fundamental human rights and allowed terrorists to use Afghan soil to launch attacks around the world.Â In 2001, with the overthrow of the Taliban regime, Afghanistan slowly began to rebuild its shattered political, economic and social structures, and to regain its rightful place in the community of nations.Â Our country undertook a series of policies aimed at a comprehensive reconstruction and stabilization of the political and economic situation both nationally and regionally. These policies centered around the urgent need to bring the Afghan people out of grinding poverty and provide them with the basic human rights, opportunities and services that had been denied them for decades. Afghanistan has made enormous strides in the past decade, emerging from the ruins of war to build a more functioning government, a more prosperous economy, and a more healthy society. Just three days ago, Afghanistan held its second parliamentary election. Millions of Afghans from all walks of life braved a challenging security situation, and cast their votes to elect representatives of the National Assembly. The unprecedented number of women candidates, voters and elected representatives is a clear demonstration of how far Afghan women have come in regaining their proactive role in Afghan society. H.E. 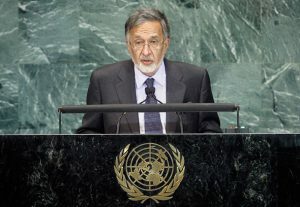 Dr. Zalmai Rassoul, Foreign Minister of Afghanistan, addresses the UN Summit on the Millennium Development Goals (MDGs). 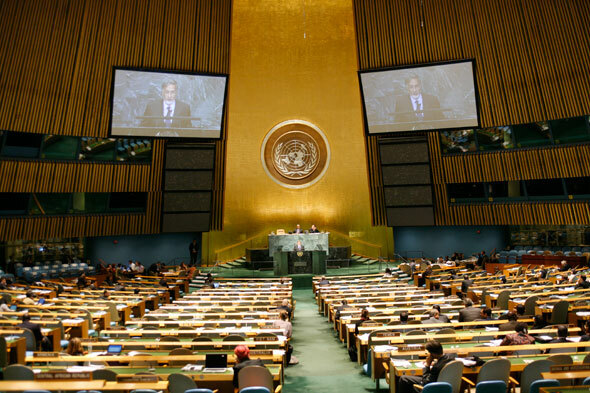 Convened by the General Assembly, the Summit is aimed at spurring action towards achieving internationally agreed goals to reduce hunger, poverty and disease. 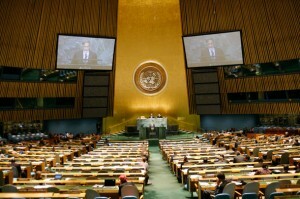 These elections reaffirmed the steadfast commitment of the Afghan people to democracy and self-determination. Our leadership will continue to focus on good governance and to introduce institutional reforms that will make us more responsive to the needs and concerns of the vibrant Afghan civil society and population. Economically, 80% of Afghans depend on agriculture for their livelihoods, and so along with other agricultural reforms we have undertaken comprehensive efforts to rebuild and repair irrigation systems, and have constructed over 10,000km of roads.Â These changes improved productivity in the agricultural and trade sectors, which boosted GDP growth in the country to achieve record highs at 22.5 percent this year (2009/2010).Â The average income has quadrupled since 2001. Government revenue this year surpassed a billion dollars for the first time. The recent discovery of enormous mineral resources, combined with the potential trade and transit opportunities with our neighbors, provides a chance to bring the Afghan people out of poverty, and offers a sound basis for future prosperity. Afghanistanâ€™s health and education sectors have also developed significantly, thanks in large part to the assistance of our international partners, including this Organization. We have established hundreds of clinics and hospitals across the country, expanding basic health coverage from 9% of the population in 2003 to close to 90% this year. Our national immunization campaign is in full swing, reaching out to millions of children under the age of five to protect them against polio and other deadly diseases. We have made substantial improvements in reducing infant and under five mortality rates.Â In addition, we have a 71% school enrollment rate of Afghan boys and girls. As part of our national agenda to promote primary, secondary and higher education, we have constructed close to 4,000 school buildings over the past nine years; and we are on track to build an additional 4,900 by end of 2013. We are also building a complex social safety net, geared towards finding work for those willing and able, and supporting those who are unable to care for themselves. We must keep in mind the backdrop of severe fragility and conflict when assessing the success of Afghanistan in achieving the Millennium Development Goals. Security is the bedrock for socio-economic development, and in Afghanistan the difficult security situation has challenged our ability to sustain progress. The enemies of peace and stability in Afghanistan are still active, orchestrating well-planned attacks against schools, clinics, teachers, doctors, government employees and even young children, particularly school girls. Unfortunately, similar attacks continue against humanitarian aid organizations and their personnel, who are working under difficult conditions to improve the lives of ordinary Afghans.Â In recognition of the crucial role of security in providing space for development, I would like to emphasize our addition of security on Afghanistanâ€™s list of MDGs.Â Improvements in security over the past year include substantial progress in clearing land mines and reducing poppy cultivation. While we have made significant improvements, Afghanistan remains the lowest income country in the region, with 40% of its population unemployed and 36% living in poverty.Â We still face a gender gap in literacy and education.Â For such reasons more than ever we realize the importance of our international partners in supporting our country. Our budget for development is entirely financed by aid, and we hope to continue the transition toward streamlining aid more effectively through the government of Afghanistan with a view toward sustainability and capacity building. We have designed an extensive plan for MDG goals and targets over the next decade. While we know the path ahead is a difficult one, we are determined to forge on with a view toward reaching our commitments for MDGs.Â Our number one priority as a government is to bring an end to conflict: the Afghan people are thirsty for peace. The Afghan National Army and Police are being trained and equipped to take responsibility for the Afghan people.Â The Afghan government is simultaneously undertaking a broad political outreach initiative to offer a new beginning to former combatants and others willing to lay down arms and embrace a peaceful life. 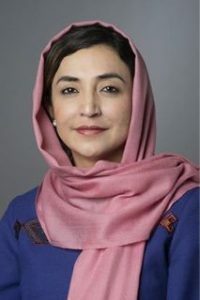 In addition, in order to focus on the most pressing issues, the Afghan government has recently identified five key areas in the ANDS that will require intense attention.Â These include agriculture development and rural rehabilitation; human resources development; economic and infrastructure development, governance and security. Our recent Kabul conference was a milestone in greater Afghan leadership, particularly security, governance and development. At the Kabul Conference, we presented our comprehensive development agenda, aimed at implementing tangible improvements in the lives of our citizens. Over the coming years, our government will push for a transition to greater Afghan responsibility and leadership in security, social and economic development, and governance. We are aware of the challenges we face. More than three billion people worldwide live on less than $2.50 a day, and far too many are denied access to food, shelter, water and other necessities of life. But Afghanistan is well aware, perhaps more than many, of exactly how much we can accomplish when working together. Our responsibility, as world leaders and as human beings, is to persevere in our quest to improve the lives of our fellows. I am convinced that, with commitment and focus, we will succeed.